If you haven’t logged in to set up your account and re-enroll, there are a few steps you’ll need to take. On your credit union statement—estatement within online banking under services or your printed statement. To set up electronic statements, or to continue receiving them by mail, you’ll need to re-enroll within the new MyLoans portal. 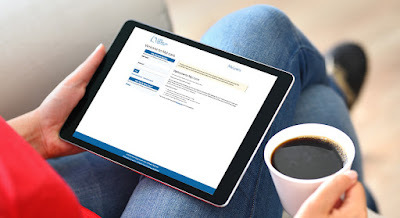 To continue receiving notifications about your mortgage, you must verify and reenroll within the new MyLoans portal. Make sure any one time payments you scheduled are reflected. Recurring payments were not impacted. Please note: Payments made on a weekend or holiday will be reflected after one full business day. Due to scheduled maintenance, you will not be able to access MyLoans to make an unscheduled payment from 6:00 am – 9:00 pm on Sunday, October 7. We apologize for any inconvenience this may cause. If you need assistance or have questions please call our Mortgage Servicing Department at (844) 754-6280 x9929 or visit LMCU.org/MyLoans. Monday - Thursday | 9 a.m. - 5:30 p.m.
Friday | 9 a.m. - 6 p.m.
Saturday | 9 a.m. - 1 p.m.